Stainless steel nails are now largely used in various tasks, ranging from interior works to carpentry, roofing, and construction etc. There are different types of nails available in the hardware stores and you need to make the choice based on the advice of an expert artisan. Before you consider buying stainless steel nails, it is better to know the types available and the usage. Stainless steel sliding nails are the most popular type of nails used in variety of settings. These are also called ‘shake and shingle’ nails. Used mainly for its durability, strength, and corrosion resistance capabilities, these nails are specifically recommended for woodworks, especially redwood and cedar. Sliding nails are longer in size so that these can better hold wood siding and keep it from falling off. They have only small heads, which are not visible once hammered in to the surface. The small hole it leaves behind can be easily filled with putty. Once after the wood side is puttied and painted, you cannot even notice a trace of the nail inside. You can find a wide range of steel sliding nails at the hardware shops, varying in length, size, gauge, and diameter. These nails are a bit more expensive compared to the basic steel nails; however, your investment on these are worth each penny spent as these can last long and ensure optimum strength. Stainless steel finish nails are ideal for carpentry work and interior finish. These are also used in many woodworking projects in which the nail heads should not be visible after finishing. As the name suggests, finishing nails will fully sink into the surface as these have only a very tiny rounded head. The head is just bigger than the shank and offers a flawless finish once done. These nails also ensure rust-free wood surface no matter what type of a final coat applied on to it. Along with interior works, these nails are ideal for outdoor usage too as they resist any discoloration or corrosion. There are various stainless steel nails available differing in gauge, size, head diameter, length etc. The type of the nail to be used will depend on the kind of work you are undertaking. While running in finishing nails, it has to hammered up to just above the surface and then to avoid any damage to the wood, place a nail set on to the finishing nail head and tap it with a hammer until the nail goes well below the surface. The stainless steel staples used in construction and home improvement works are a good alternative to nails as these are much easier to use. Their major use in construction works is to bridge materials like wooden bars together. These stainless steel fasteners are highly resistant to corrosion and so are ideal for outdoor work. Whichever stainless steel nails or staples you choose, always try to get the best grade of material to ensure the most desired results. 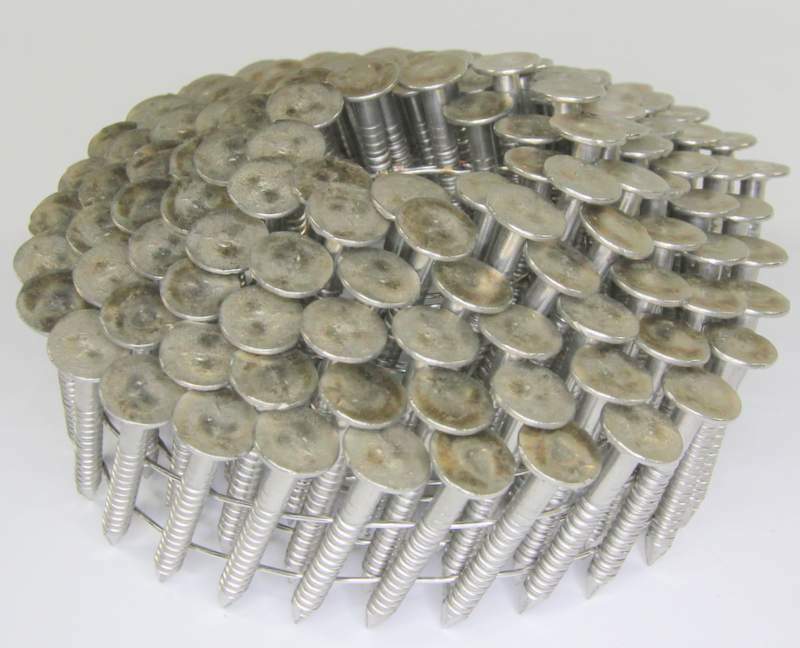 There are many duplicate items and stainless steel-like alloy nails out there in the market. The best solution is to buy from an authentic and reliable hardware dealer near to your place.